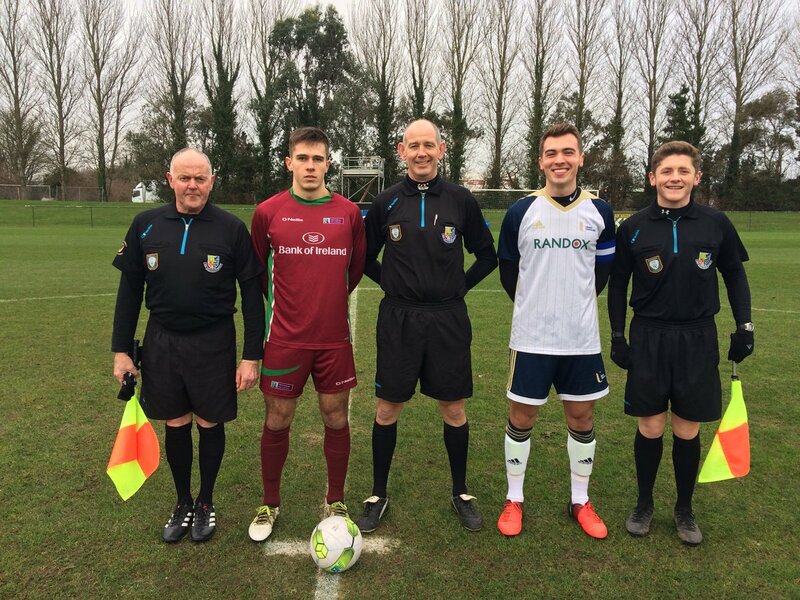 Ulster University set up a Quarter Final clash with the Royal College of Surgeons in the Rustlers Collingwood Cup as they saw past NUI Galway with a 2-0 victory in the First Round in the AUL Complex, Dublin. Centre forward Nathan Best scored in both halves for the Northern side with Galway unable to convert a number of golden opportunities. After an evenly contested opening half hour, Jonny Wilson lofted a free kick on the left hand side to the back post towards Nick Beta. Beta was given time to control the ball and he laid the ball to Best who drilled the ball into the bottom corner from sixteen yards. Galway had plenty of chances either side of the half time break with the best coming from Jonathan Hannafin who saw his volley crack the underside of the crossbar but it bounced outwards and managed to be cleared by Ulster. With the Connacht side pushing forward to force the equaliser, they were susceptible to be caught on the break and Ulster University doubled their advantage with twenty minutes remaining when Jack O'Mahoney slipped Best in behind and he coolly put the ball past James Pope. Best could have had his hat trick just moments later when he was played in again but he could only hit the outside of the post. Galway's luck was summed up with nine minutes remaining when the ball arrived at the feet of Conor Melody in front of goal but he was denied by a great save by Matthew McClurg and Ulster University managed to comfortably see out the remaining minutes and take the victory. McClurg, Roper, Swann, Taylor, Wilson, Roohi, Best, O'Mahoney, Beta, Hamilton, McConville.